It has been all over gaming news for some time now. Final Fantasy XIV, Square Enix’s current loved MMORPG, is getting another expansion. Heavensward, also known to players as patch 3.0 has finally come to its close with 3.56, leading up to the introduction of Stormblood‘s story. There’s a lot of hype going on among players of the game after all this time. There’s a lot to be excited about, that is for certain. There are new areas to explore, a new city to visit, players can swim, and even a new housing district and apartment building for players to grab and call their own. The Warriors of Light makes their way to the lands of Gyr Abania and Orthard! There will be new beast tribes to meet and primals to slay. Two guest creators of high esteem have been invited to add to the fun, and new adventures for players to make their way through. Everyone’s bravery is going to be tested to the limit, that’s for sure! I’m pretty sure my first stop will be Kugane. That’s the new city that everyone will be able to visit. It is a port city with trade coming in from all over the place. 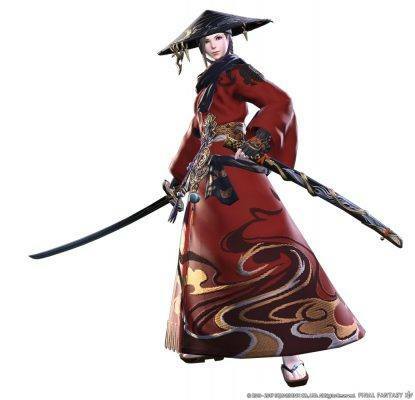 The two new jobs coming to the game are Samurai and Red Mage. I’m pretty excited about both. Lots of players are excited about these two, especially ones who played Final Fantasy XI. So many people have their speculations about how these two jobs will work. I just have a wait and see attitude. However, my excitement grows every passing day. This’ll be the reason me and a lot of other gamers will lose sleep for a few days. One of the new beast tribes are the Kojin. These aquatic beings can be found around the ruby sea. Their settlements exist beneath the waves. Their corresponding primal is Susano- whom they end up summoning in an act of desperation. The other new beast tribe are the Ananta, beautiful snake like women who worship the primal known as Lakshimi, a very beautiful goddess who blessed them with the ability to bring life. There will be a new raid, Interdimensional Rift – Omega that players can take up as a challenge. I wonder if it will be just as challenging as the Alexander raid series, which recently ended with the four dungeons known as the Alexandrian Sector. Those fights were all fun, except for one in my opinion. It may be player based opinion as well, but I’m not going there. I just want to say that I am extremely excited about this and that there needs to be more talk about Stormblood as it approaches release date. This new expansion will be hitting stores on June 20, 2017. It can be played on PlayStation 4, Mac and PC. Square Enix is ending the game’s PlayStation 3 support with the release of Stormblood, but is offering free upgrades for PlayStation 3 players. I can’t wait!